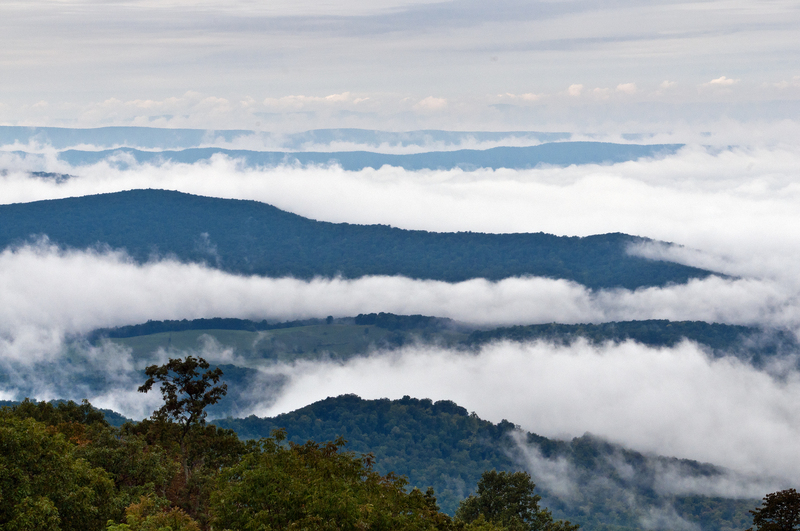 Last Saturday, I went to Shenandoah National Park in Virginia to shoot the sunrise from one of my favorite locations along Skyline Drive, as well as photograph some of the late summer foliage. When I left the house at 0430, it was obviously dark, and therefore, I could not tell the extent of the cloud cover. 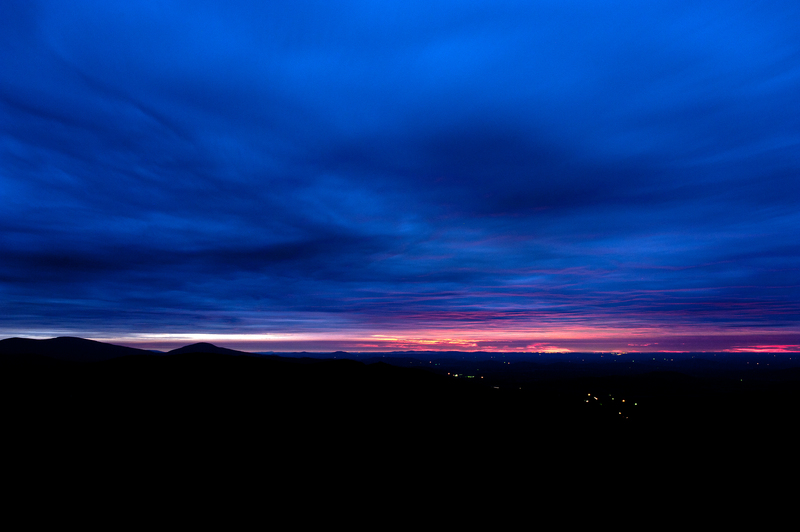 Clouds significantly improve the beauty of a sunrise, so I was hoping for some clouds. 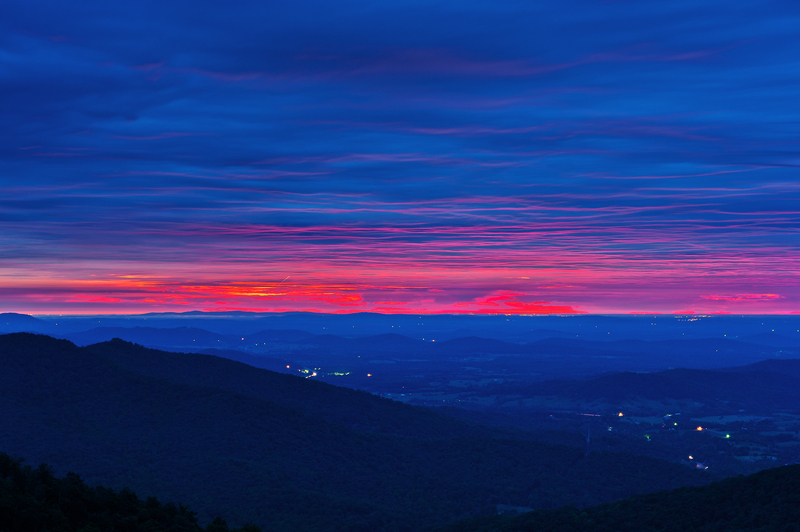 In the above image (Nikon D700, 28mm, f/9, 30 sec), it was still very dark, but as the sun was beginning to near the horizon, it began to glow in shades of red while the clouds in the sky began to turn deep shades of blue. 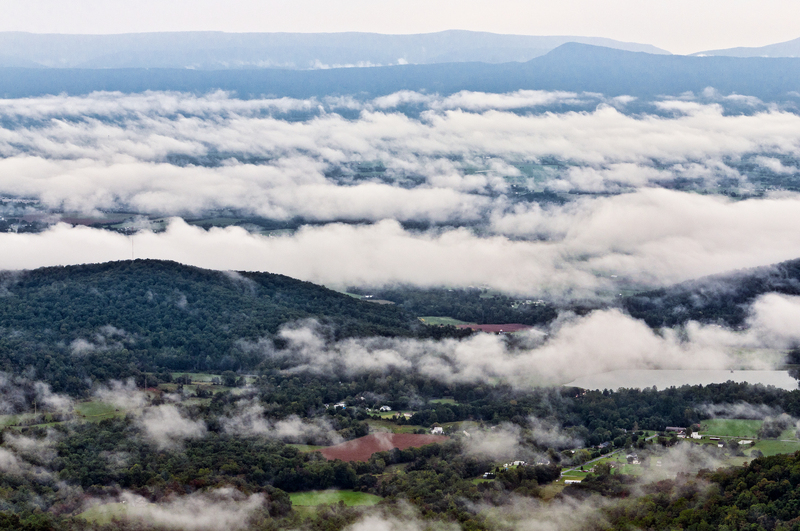 After shooting the sunrise, I spent the day photographing Shenandoah Mountain landscapes and views from various overlooks of the Shenandoah Valley, which was covered in clouds that hugged the valley floor while the sky was very overcast. It was a scene that I am sure happens often, but one that I had not photographed before. Later in the day, it did brighten up, and I was able to shoot some early fall colors. I will post another article tomorrow with some of those images. 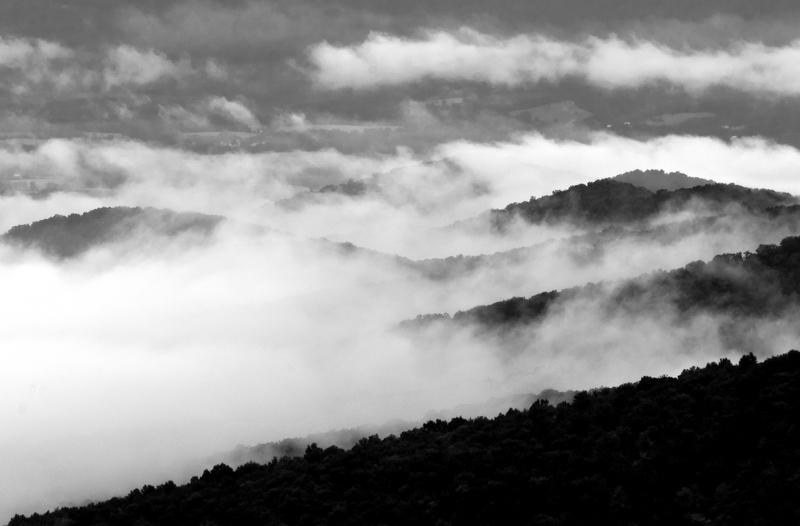 This entry was posted in Landscape Photographs and tagged Photography. Bookmark the permalink. I really like the use of B&W in the opening shot, but I think my favorite is the third sunrise shot (Sunrise Begins 2). The intense reds and oranges provide a great contrast to the blues, greens, and grays of the clouds and mountains. It has to be seen full size to appreciate the beautiful mix of color. This one shot made the trip worthwhile in my opinion. As usual, great work!